I don't rate Zeeshan Malik. He is Ahmed Shehzad V2. Not a great knock by Zeeshan. He's put himself under too much pressure to perform and was going hard at the ball, thus not getting the placement right; normally he's a very good timer of the ball. Ended up playing too many dots. Didn't help that Maqsood kept hogging the strike due to his inability to run quick twos. One more match remaining for him, two if they make the final... he needs a big knock to put himself into contention for the 21st pick. What a fabulous innings that was from Hammad Azam.He is having dream tournament.He should be on selectors radar. 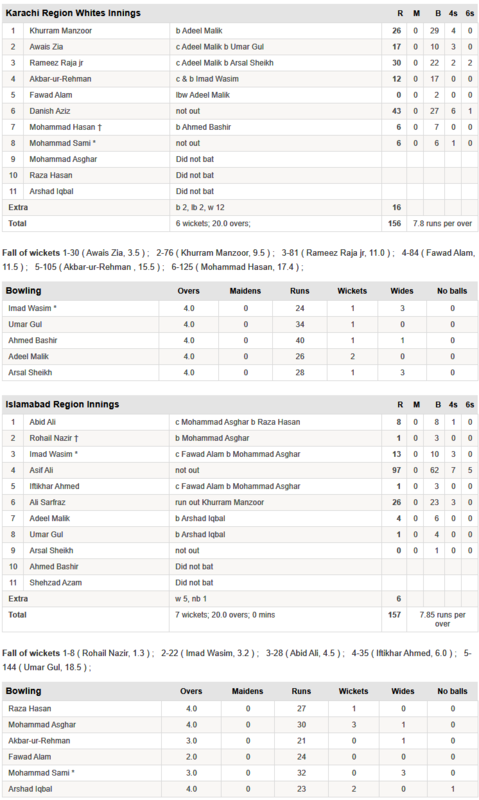 Glad I watched this match of the most pathetic and worst telecast of a tournament, Multan v Rawalpindi. Multan had won this match by 18th over with some brilliant bowling by Amir Yamin but Hammad Azam played one of the best innings I've seen this year. He singlehandedly chased the total almost alone with literally no support. Rawalpindi had literally surrendered, Mohammad Nawaz and Umar Amin are bakwaas players, both were awful. The parchis in the team, Hafeez and Shoaib Malik are not even 50% of mentally tough Hammad Azam. He is a fighter kinds personality, still remember how he chased and won Pakistan in U19 semi-final vs India. After sometime, have seen a glimpse of Miandad, street fighter sort of busy player in Saud Shakeel. He did'nt hit a six and played the most fantastic managed innings. Played only 4 dots in the 50 he made and has a superb technique. Should've finished the match bu twas not supported. 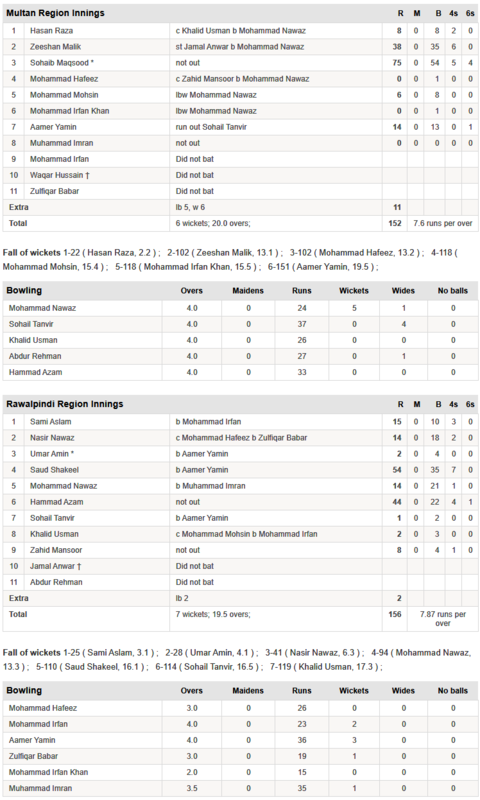 Rest of Rawalpindi batters did'nt deserve this win, horrendous play and zero fight. They were outdone in worst performance by Sohaib Maqsood's sloppy field placings in the last 2 overs. All times are GMT 5.5. The time now is 14:28.